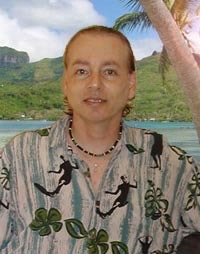 Aloha and welcome to My Hawaii Real Estate online, your best asset for Hawaii MLS listings and relocation information. Examine the many aspects of our website, start searching, sign-up for our daily update program or contact us today! We've got all the tools you'll need to find the right home. 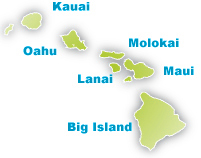 Search for homes on Oahu, Kauai, Maui, and the Big Island of Hawaii. Discover more about the different communities for Oahu. Find out more about working and living in Honolulu. On this site you will find information on all homes and condos for Oahu real estate for sale in the Islands. Whether you are a an investor or looking for that special home, you will find information that you can use, about relocation, mortgages and everything needed in making an informed Honolulu real estate choice in today's market. Selling or buying Hawaii real estate is one of the most important business investments that people make in their lifetime. In today's Oahu real estate market a purchase usually exceed $300,000 and considering the cost risk, it would be unwise to consider a Honolulu purchase without the assistance of a realtor. Buying a House in Hawaii - a real value! What is a Buyer's Market and How Does it Affect You? Whats a Hawaii home worth? Listing courtesy of Map Vision Inc.. Listing courtesy of Realty Brokerage LLC. Listing courtesy of Heyer & Associates LLC. Courtesy of CENTURY 21 Paradise Intl. Listing courtesy of CENTURY 21 Paradise Intl.. Listing courtesy of KC Realty LLC.